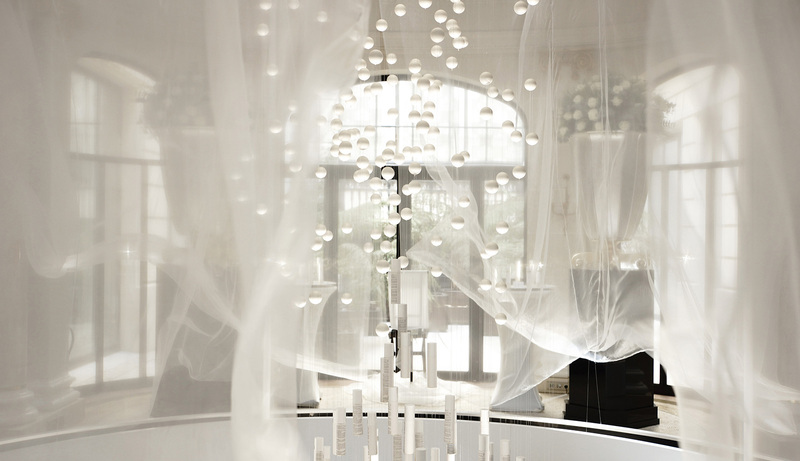 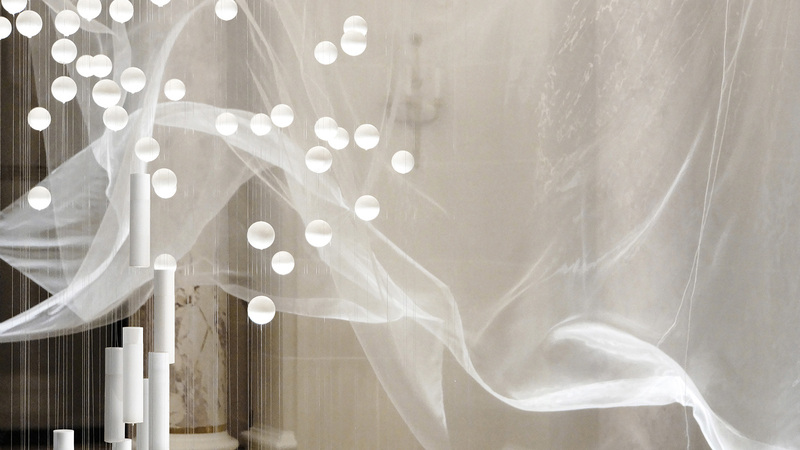 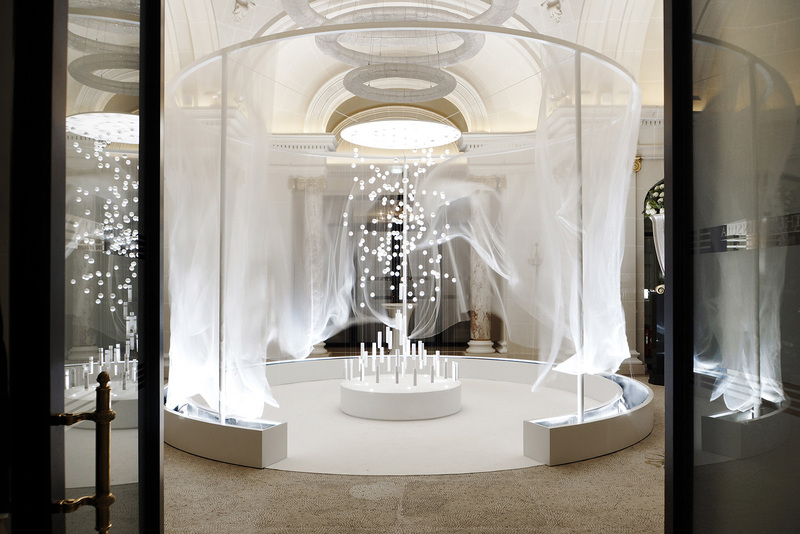 Installation event in Paris, for the new launch of a new skincare product by a Japanese cosmetics brand. 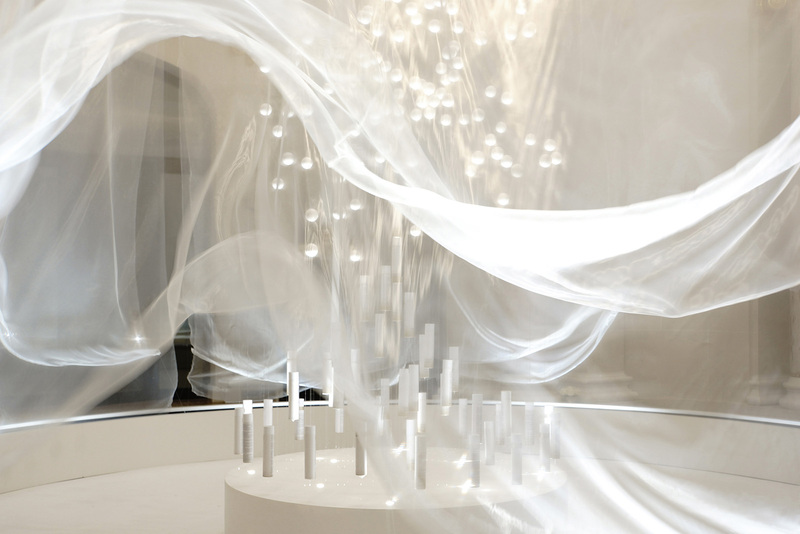 Entering the grand space, the attention is drawn to the 4-meter high fabric, floating graciously in the space, creating beautiful movements and shapes by the natural wind-flow of the fans hidden within the structure. 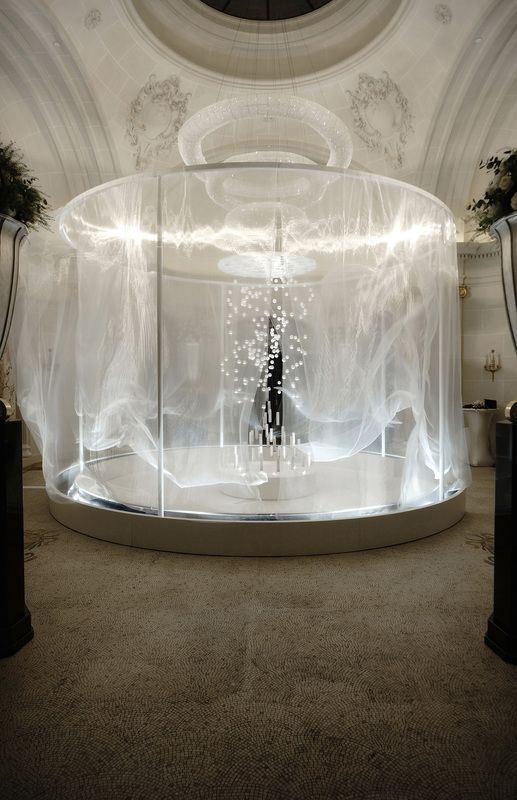 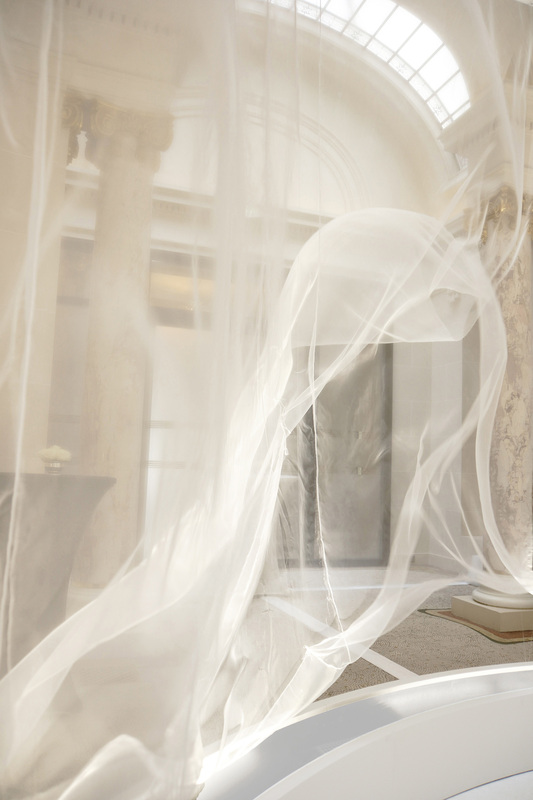 The delicate form of the fabric has a very unique texture - it reflects rays of light, combining at the same time soft, semi-transparent curtain which moves and allows the product to be revealed and hidden when in movement. 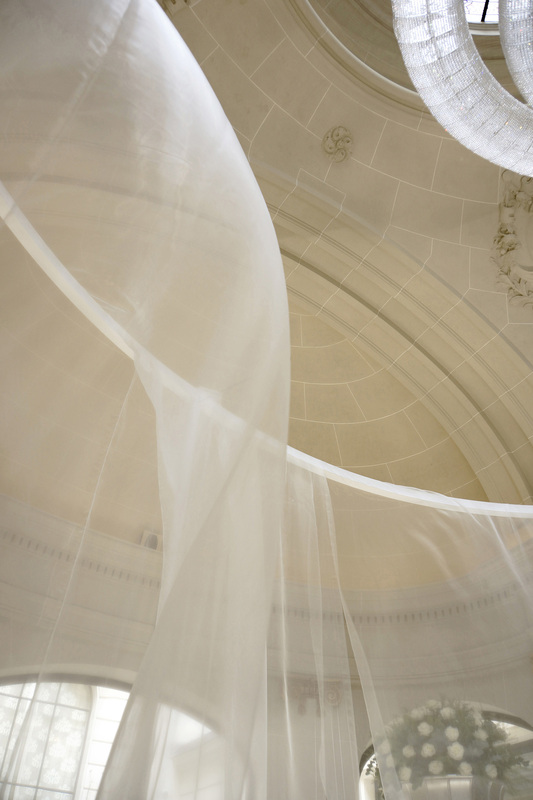 The soft lighting used, unites with the wind, contrasts, but at the same time emphasizes the surrounded architecture. 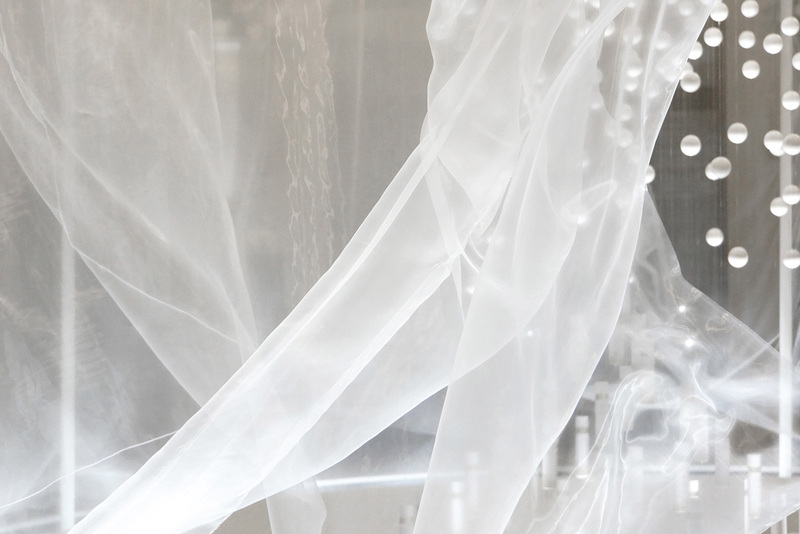 The fusion of the product science and the space natural beauty of the fabric's movement works in harmony, creating a layered veil between the product and the viewer.